Henri Astier suffered through chronic pelvic pain in silence. As he could no longer run – his usual form of exercise – he tried a variety of tactics to alleviate the pain. Swimming immediately brought Henri relief – the more he swam, the less it hurt. The Orpington resident is one of hundreds of thousands of men across the UK suffering from chronic pelvic pain syndrome (CPPS). 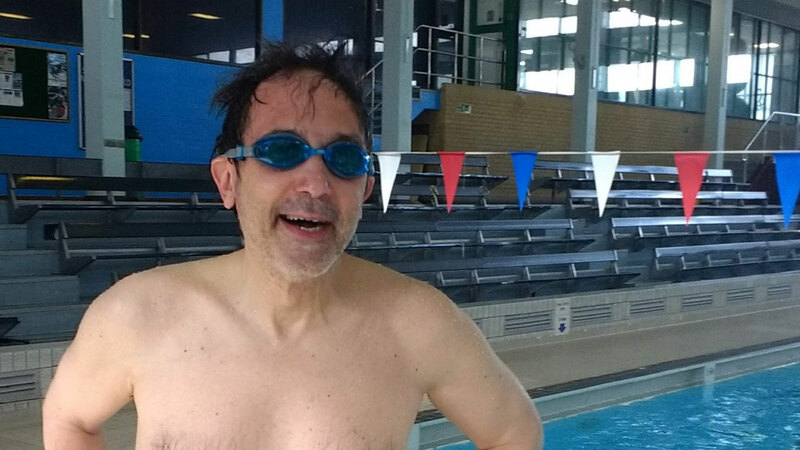 He’s shared his story as part of the latest Swim England-led #LoveSwimming campaign Moving Medicine, which urges the medical profession to be more proactive in prescribing swimming as part of a programme of activity to manage medical conditions and aid recovery. Henri claims the pain is now 99% gone, but it was an arduous road to find a solution. Meditation proved effective, coupled with swimming, when he feared for some time that he might have cancer. In an article for the BBC, he wrote: “Prostate cancer is often treatable, and online calculators put my chances of having it at only 15%. But being an unlucky roll of the dice away from any form of cancer was unnerving. I had visions of being made permanently impotent and incontinent by surgery. “But mindfulness helped me keep those fears in perspective. My pelvic pains continued to lessen both before and after I got the final all-clear.